Northwest Movers Portland provides residential and commercial relocation services for Portland Oregon and the surrounding metro area. We were founded in June of 2011. Blue Whale Moving Company has been providing peace of mind to clients who are moving since 1988. 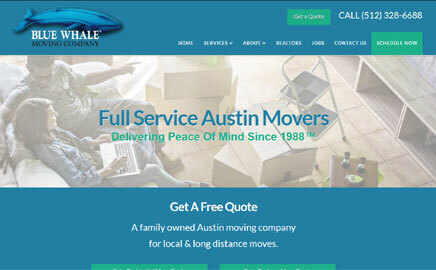 With a handful of experience, we can assure you of the best moving, packing, storage and junk removal services in Austin, TX. We serve both residential and commercial clients. 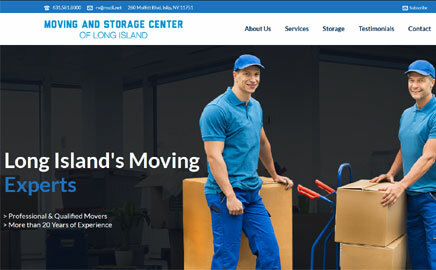 Welcome to Moving and Storage Center LI, the leading moving company in the Long Island area. We provide quality moving services to all our customers and offer storage as well. With a large storage facility that is climate controlled, you can count on us to provide safe storage of your belongings. Contact us today! 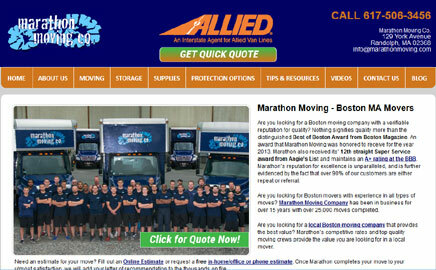 Marathon Moving is a family owned and operated moving company in the Greater Boston Area. Marathon has won multiple awards for quality moving services. If your moving from an apartment, large household, a one-person office, or an entire company moving cross town, a long distance move, or even an overseas move, Marathon Moving should be your choice for a reliable and quality mover. 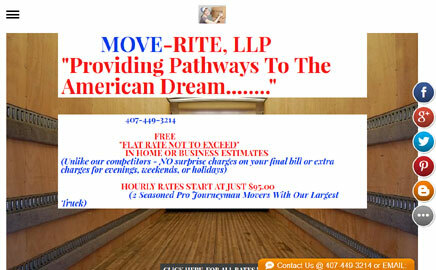 MOVE-RITE,LLP is a Christian company with much compassion and integrity. MOVE-RITE is Pentecostal-Gideon owned & operated. Profits are used every Monday at 2:30 PM @ Lake Eola to feed, provide haircuts, toiletries, and clothing. Unlike our competitors we have no additional charges on your bill or charge extra for evenings, weekends, or holidays. Oz -The Wizard of Moving. Residential or Commercial, local or long distance, no job is too big or small for Oz Moving’s organized, on-time, and outstanding movers. 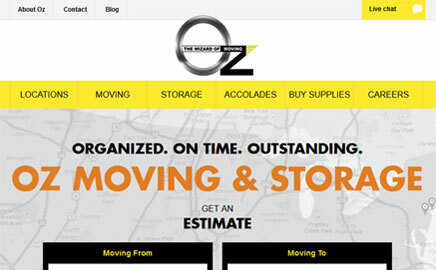 Established in 1993, Oz Moving & Storage has grown from a single truck to one of New York City’s largest and most reputable moving and storage companies. Currently operating with 50 trucks and 200 employees. We are your preferred movers offering moving services in Atlanta, Georgia and across the country. As a family-owned business, we know what it takes to meet the needs of our customers. You can count on us to make your move as easy and smooth as possible. 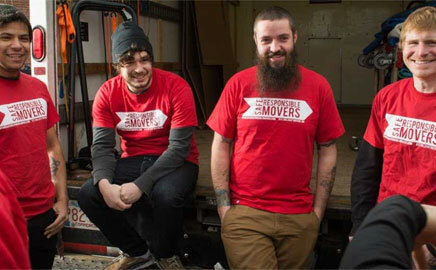 We’re always ready to help you move! 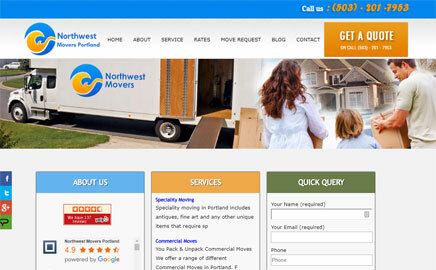 Northwest Movers provides expertise on residential moving services for Portland Oregon, and the surrounding metro areas. 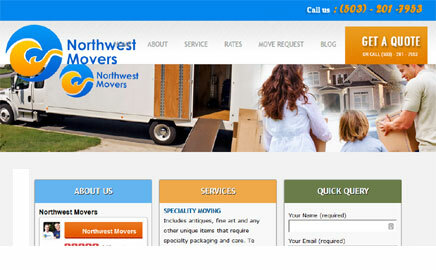 We are the fastest growing moving company in the state of Oregon. We also carry some of the highest ratings on local review sites. 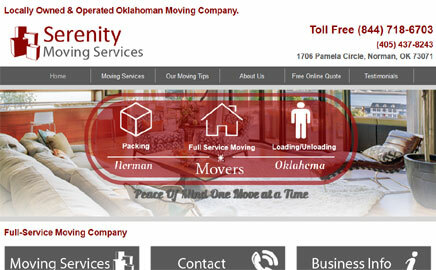 Here at serenity moving services we are a fully licensed and insured moving company. With a policy of customer satisfaction and job quality at the top of our to do list on your move allow us to “Give you Peace of Mind During Moving Time”. Welcome to USMovingCompanies.org, your one stop source for finding a moving company online. 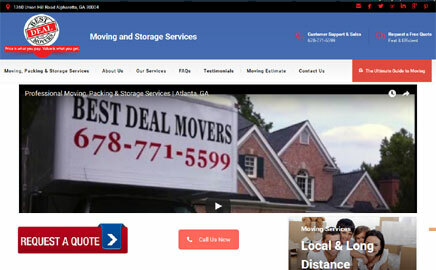 At USMovingCompanies.org you’ll find a directory of moving companies categorized by city and state along with moving information and frequently asked questions. If you are affiliated with a moving company and would like to add a listing to the directory for free, please use the submit link above.